It's been almost 40 months since the Fukushima disaster and many want to pretend it never happened, but Fukushima's children are dying, thanks to thyroid cancer rates that are soaring to 40 times the normal rate since the nuclear meltdown. This isn't a phenomenon affecting just a handful of children either. 48 percent of some 375,000 young people—nearly 200,000 kids—tested by the Fukushima Medical University near the smoldering reactors now suffer from pre-cancerous thyroid abnormalities, primarily nodules and cysts. Where only three types of childhood cancer would normally be detected, over 120 have been detected, according to Joseph Mangano, executive director of the Radiation and Public Health Project. 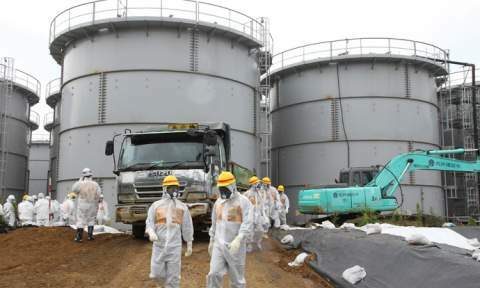 These results of Fukushima fallout are not isolated to Japan, either. Now, more than one third of children born on the Pacific Coast of the US are in danger of developing thyroid and other cancers that will reveal themselves as children grow older.